Want to change your appearance? One of the easiest and most effective ways to give yourself a new look is to wear color contact lenses. There are color contacts that can enhance your current eye color (make your light blue eyes look violet/blue, for example) and lenses that can change your eye color altogether (make your brown eyes appear blue, green or gray). There are even special-effect color lenses that can make you look other-worldly (Goth, Circle and vampire lenses, to name a few). And you can wear color contact lenses whether you have nearsightedness, farsightedness or astigmatism – or even if you have perfect vision and don’t need glasses or contacts to correct your eyesight! Most color contact lenses are designed to keep the colored part of your eye (iris) looking natural and attractive – just a different color. The central zone of these color lenses – the part directly in front of the pupil – usually is clear to allow the same amount of light to enter your eye as regular (non-tinted) contacts. Enhancement color lenses. . These lenses have a translucent (see-through) tint that modifies the color of your eyes without changing it completely. As their name implies, enhancement color lenses are designed to enhance or deepen the natural color of your eyes. These lenses are best for people who have light-colored eyes and want to make their eye color more intense. Opaque color lenses. These color contacts have dense, non-transparent tints that can give you a completely different eye color. If you have dark brown eyes, for example, you’ll need this type of lens to change your eye color to blue, green, gray or other colors. Special-effect color contact lenses (also called costume or theatrical lenses) are a special variety of opaquely tinted lenses that intentionally produce an unnatural appearance. 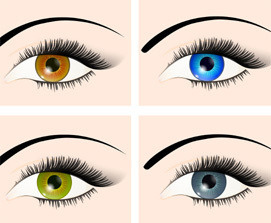 Examples of special-effect color contacts are lenses that make the wearer look like a vampire, an alien, a cat-like creature, and a variety of other unusual or scary-appearing characters. “Circle” lenses are another popular type of special-effect color lenses. Also called “big-eye” lenses, these theatrical lenses make the wearer’s eyes look larger than normal, like those of an anime cartoon character. There even are special-effect contact lenses that display the logo of your favorite professional sports team! Because the tinting of many special-effect contact lenses extends across the entire lens – including the central portion that covers the pupil – caution should be taken when wearing these lenses for activities like driving at night, since they can decrease the amount of light entering the eye and may affect vision in low-light conditions. 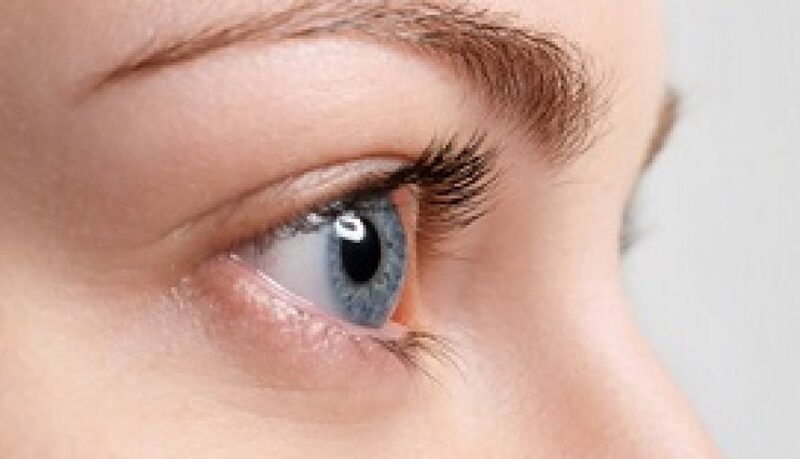 Most regular soft and rigid gas permeable (GP) contacts — those that are not designed to enhance or change your eye color — have a very faint (usually light blue) tint that extends across the entire lens surface. This is called a visibility tint, or sometimes a “handling” tint. The purpose of visibility tints is to help you see your contacts when they are in the manufacturer’s packaging or in your lens case, and help you find your lenses if you drop them while applying, removing or cleaning your lenses. These lightly tinted lenses will not noticeably alter your eye color or affect your vision. Do You Need a Prescription for Color Contact Lenses? 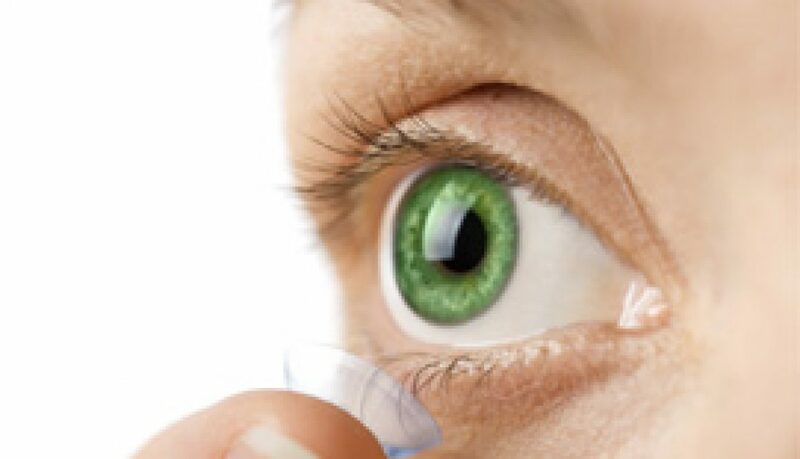 In the United States, all contact lenses — including color contacts that have no corrective power and are worn for cosmetic reasons only — are considered medical devices and are regulated by the U.S. Food and Drug Administration (FDA). As such, color contact lenses cannot be legally purchased or worn in the U.S. without a valid prescription written by a licensed eye care professional. 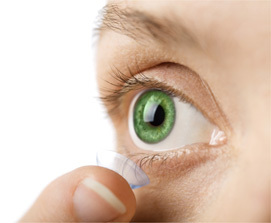 A contact lens prescription can be determined only after a contact fitting has been performed. If you are interested in color contact lenses, see your eye doctor for a comprehensive eye exam and contact lens consultation and fitting. Never, EVER, purchase color contact lenses sold at flea markets or from other unlicensed sources. Doing so greatly increases your risk of serious eye problems. And speaking of things you should NOT do – as fun as it might sound, never swap color contact lenses with friends. Exchanging contact lenses can transmit harmful bacteria and cause serious eye infections. If you are interested in trying color contacts with different colors than those you already have, return to your eye care provider to see the full variety of colors that are available. If you stay with the same lens brand, you do not need another contact lens fitting to purchase different colors. Choosing more than one color can be fun, and allows you to change your eye color to match your wardrobe or your mood! Like all contact lenses, color contacts must be properly cleaned, disinfected and stored with appropriate lens care products after each use to avoid contamination and potential eye infections. Also, be sure to discard and replace your color contact lenses according to the schedule your eye doctor gives you. If you experience eye discomfort when wearing color contacts, remove the lenses, call your eye doctor, and bring the lenses with you to your exam so they can be inspected. As with regular contact lenses, taking proper care of your lenses and seeing your eye doctor for routine check-ups is the best way to get the greatest enjoyment from your color contact lenses. Article ©2013, Access Media Group LLC. Source: Color Contact Lenses by AllAboutVision.com. An eye that suddenly becomes red is one of the main reasons people seek the services of an eye doctor. And for good reason. Significant discomfort, blurred vision or both often accompany red eyes. And, well, red eyes just looks bad, too. The front surface of the eye is composed of two structures: the clear cornea in the center of the eye (overlying the colored iris and the pupil), and the tough, opaque sclera–the “white” of the eye that surrounds the cornea and forms the outer coating of most of the eyeball. An eye becomes red when the tiny blood vessels that lie on top of the sclera (and under a thin, clear membrane called the conjunctiva) become inflamed. It is the blood in these engorged vessels that obscure the underlying white sclera and make the eye appear red. Without an examination, it can be difficult, if not impossible, to determine the underlying cause of red eyes and whether the condition is an emergency or not. Viral conjunctivitis. This is the type of conjunctivitis most people are referring to when they say they have pink eye. Caused by a common virus, viral pink eye (like a common cold) typically resolves over several days without treatment and is not associated with serious vision problems.Symptoms of viral conjunctivitis include redness, itching and a watery discharge. Though viral pink eye usually is not serious, it produces significant discomfort and is highly contagious. Bacterial conjunctivitis. This is a less common but more serious type of pink eye, caused by bacteria. Symptoms include redness and a sticky, mucous-like discharge.Bacterial conjunctivitis should be treated promptly with medicated eye drops or ointments, to prevent a serious infection of the eye, which could lead to a corneal ulcer and scarring that could cause permanent vision loss. Allergic conjunctivitis. As its name suggests, this type of pink eye is associated with common allergies. Symptoms are very similar to viral conjunctivitis, but both eyes are affected and the condition is accompanied by other allergy symptoms such as nasal congestion, a runny nose and sneezing. Since allergic conjunctivitis can be a chronic or seasonal problem, ask your eye doctor about medications that can prevent or lessen the severity of future episodes. Another common cause of red eyes is dry eyes. Other symptoms of dry eyes include a feeling that something is “in” your red eyes (called a foreign body sensation), a scratchy feeling, sensitivity to light and intermittent blurred vision. Oddly enough, another symptom is watery eyes. Dry eyes cause irritation of the surface of the eye, and this irritation causes the lacrimal glands located above and slightly behind the eyes to over-produce the watery component of normal tears as a reflex mechanism to protect the eyes from dryness-related damage. Unfortunately, because other components of the normal tear layer (oil and mucous) are not present in these watery “reflex tears,” the dry eye condition persists despite the apparent surplus of tears. Redness caused by dry eyes usually can be successfully treated with routine use of non-prescription artificial tears or by other treatments your eye doctor can prescribe. Contact lens wear is another cause of red eyes in some individuals. In particular, a condition called contact lens acute red eye (CLARE) is associated with contact lens wear and causes a fast onset of redness, eye pain, sensitivity to light and watery eyes. CLARE appears to be an inflammatory condition caused by endotoxins produced by certain types of bacteria that can accumulate on contact lenses and in contact lens storage cases. The condition usually resolves within a few days after contact lens wear is discontinued. Your eye doctor might also prescribe anti-inflammatory eye drops to help clear the red eyes. Infections of the cornea (also called infectious keratitis) are a serious cause of red eyes that usually require prompt treatment to avoid corneal ulcers, scarring and vision loss. Most corneal infections are accompanied by eye pain, sensitivity to light and watery eyes. Blurred vision also can occur. The cause of the infection–bacteria, fungus or other microorganisms–determines the proper treatment for infections keratitis. Treatment usually consists of frequent use of medicated eye drops and/or ointments. Episcleritis is inflammation located between the sclera and overlying conjunctiva. It usually causes a pink or purple color to the sclera and sensitivity to light and watery eyes. The cause of episcleritis usually is unknown, but it sometimes is associated with an underlying systemic condition, such as rheumatoid arthritis. The condition usually disappears without treatment within a week or two, but your eye doctor might prescribe corticosteroid eye drops to relieve symptoms faster. Scleritis is inflammation of the sclera itself. Symptoms are similar to those of episcleritis, but typically are more severe. Inflammation of the sclera usually is associated with autoimmune diseases such as rheumatoid arthritis and lupus, but sometimes the cause is unknown. Corticosteroid eye drops commonly are prescribed to treat scleritis. Oral medicines sometimes are used as well. If your eye doctor suspects an underlying disease is involved, he or she might refer you to a physician for a physical exam and blood tests to rule out systemic diseases. A condition called acute angle closure glaucoma can cause abrupt red eyes accompanied by pain, blurred vision, nausea and vomiting. This type of glaucoma is a medical emergency and requires immediate treatment to prevent or limit permanent vision loss. The only way to determine the cause and proper treatment of red eyes is to see your eye doctor for an evaluation. Don’t take chances with your eyes by waiting to see if a red eye will get better on its own. Call Dr. Smith immediately to see if urgent care is required. Article ©2013, Access Media Group LLC. Source: AllAboutVision.com. If you wear contact lenses, sometime after age 40, you will begin to notice that your contacts don’t work as well for reading and other close-up tasks as they once did. This is a sign that you are developing presbyopia — a normal aging change that reduces your eyes’ ability to focus on near objects. Presbyopia happens to everyone; it doesn’t matter if you wear contacts, eyeglasses or you have perfect vision without corrective lenses. Eventually it catches up to you. More and more people — especially those who already wear contacts for nearsightedness, farsightedness or astigmatism — are finding that the best solution for the frustration of presbyopia is bifocal contact lenses. Bifocal contact lenses are premium contacts that have two or more power zones to correct both distance vision and near vision for people with presbyopia. Some “bifocal” contact lenses have more than two powers, and are more similar in design to progressive eyeglass lenses that have a gradual transition in lens power to provide clear vision at all distances. For this reason, many eye care professionals prefer the term “multifocal contact lenses” rather than bifocal contact lenses for these presbyopia-correcting contacts. In fact, many eye doctors and opticians use the term “multifocal contact lenses” to describe any type of contacts with more than one power that are designed to correct presbyopia — whether they are bifocals (two powers), trifocal (three powers; for distance, intermediate and near vision) or progressive-style multifocal contacts. 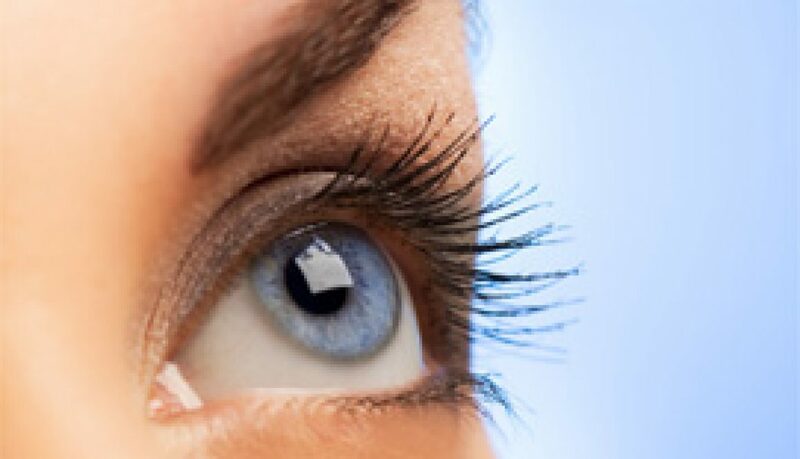 Bifocal and other multifocal contact lenses are available in several lens materials, including hydrogels (conventional soft lens materials); silicone hydrogels (advanced soft materials that allow more oxygen to reach the eye); and rigid gas permeable (RGP or GP) plastics. There also are “hybrid” bifocal contact lenses, which have a rigid gas permeable optical zone in the center of the lens for excellent optics, surrounded by a silicone hydrogel material for easier adaptation and (sometimes) greater wearing comfort than GP bifocal lenses. Unlike bifocal, trifocal and progressive eyeglass lenses, which are stationary in front of the eyes and held securely in place with eyeglass frames, bifocal and multifocal contact lenses (like all contacts) rest on a layer of tears on the surface of the eye and must move with each blink to keep the eye comfortable and healthy. Therefore, a sophisticated lens design is required to keep the different viewing zones of bifocal and multifocal contacts in proper position for good vision. Simultaneous vision lenses. In these lenses, the distance and near zones of the lens are in front of your pupil at the same time. Though it may take some time for your eyes to adapt to simultaneous vision lenses, eventually your visual system learns to use the power you need and ignore the other lens power(s), depending on whether the object you are focusing on is far away or up close. Concentric ring multifocals — These are bifocal lenses with either the distance or near power in the center of the lens, with alternating rings of distance and near powers surrounding it. Aspheric multifocals — These are progressive-style multifocal contacts, with a gradual transition in lens power from the center of the lens outward. 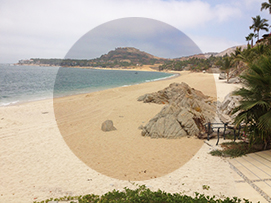 Some aspheric lenses have the distance power in the center of the lens; others have the near power in the center. 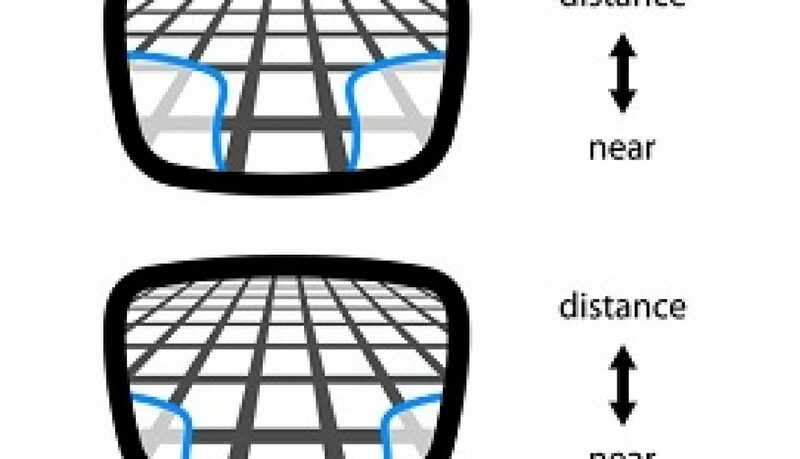 Alternating vision (translating) lenses. These are rigid gas permeable multifocal contacts that are designed like bifocal eyeglass lenses. The top part of the lens has the distance power, and the bottom part of the lens contains the near power. When you look straight ahead while wearing translating bifocal contacts, your eye is looking through the distance part of the lens. When you look down, your lower lid holds the lens in place while your pupil moves (translates) into the near zone of the lens for reading. 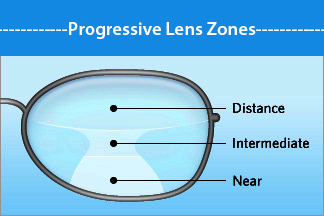 Alternating vision multifocal contacts usually include special weighting or a modification of the contour of the bottom edge of the lenses to maintain the proper positioning of the distance and near zones and avoid unwanted lens rotation. Which Bifocals Contacts Work Best? Most people who try bifocal or multifocal contact lenses and have realistic expectations are very pleased with their vision and the convenience of having little or no need for reading glasses throughout the day. But, As with wearing bifocal or progressive eyeglass lenses, there are some visual compromises when wearing multifocal contact lenses. The only way to accurately determine which type of bifocal or multifocal contact lenses will work best for you is to have a comprehensive eye exam, consultation and contact lens fitting. Because fitting multifocal contacts requires more time and expertise than fitting regular contact lenses, fitting fees are higher for multifocal lenses. Also, due to their greater design complexity, multifocal contacts cost significantly more than regular contact lenses. For specific information about costs associated with bifocal and multifocal contacts, and to see if you are a good candidate for the lenses, schedule a visit with an eye care professional who routinely fits these premium contact lenses. Article ©2013, Access Media Group LLC. 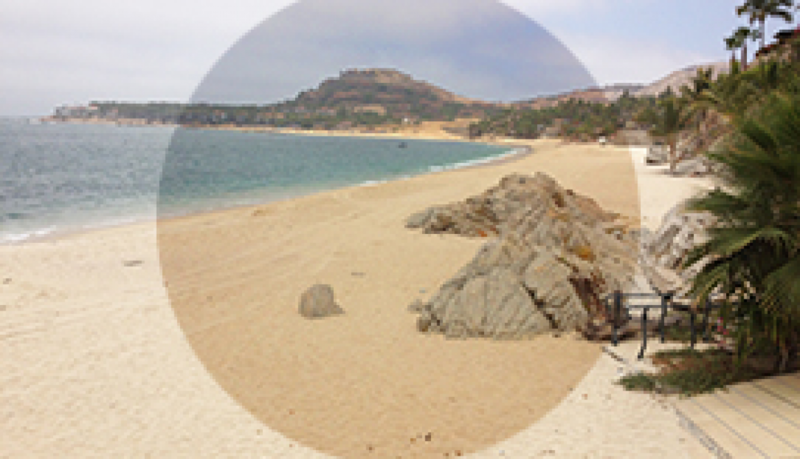 Source: Bifocal and Multifocal Contact Lenses by AllAboutVision.com. regular sunglasses cannot — reflective glare. Sunlight is emitted in all directions, and individual light waves are somewhat random in their orientation. Light of this type is called unpolarized light. But when sunlight strikes a flat, reflective surface, the light rays that bounce back from the surface are no longer random in their orientation. Instead, they are arranged in a more orderly fashion and become more uni-directional (polarized). It’s this increased organization of these polarized light rays that makes reflections so much brighter than surrounding objects illuminated by direct sunlight. Regular sunglass lenses reduce the overall brightness of sunlight, but they cannot selectively reduce the excessive brightness of reflected, polarized light. Your eyes will be more comfortable (compared with wearing no sunglasses at all), but you will still see bright reflections and experience glare that can cause eye strain and interfere with your vision. Polarized light bouncing back from flat surfaces can create very bright reflections that are not just uncomfortable — they can be downright dangerous. shading your eyes with your hands or a wide-brimmed cap. * Disability glare. This is more intense glare that reduces visual acuity and decreases the contrast of objects. It is caused by reflected light that is so bright you feel the need to blink frequently or turn away from the source of the reflection. * Blinding glare. Extremely bright light reflections can be so intense that they cause eye pain and loss of vision for minutes or even days, as in the case of snow blindness. 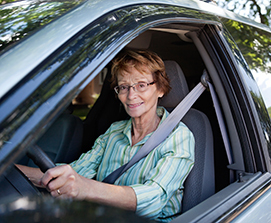 Glare of any sort can be very dangerous, especially when you are driving, boating, skiing, cycling, running, crossing a busy street, or you find yourself in any situation that may require quick reflexes. In addition to being tinted like regular sunglasses, polarized lenses contain a very thin filter embedded in the lens material that selectively blocks horizontally polarized light. Without getting too technical about the molecular structure of this filter, think of it as a tiny window blind with microscopic, linearly arranged slits that selectively block most of the light waves of reflected light and allow light waves of other orientations to pass through. In doing so, polarized lenses greatly reduce the intensity of light reflecting back from horizontal surfaces, which significantly reduces glare, improves visibility and increases comfort. Like other high-quality sunglasses, polarized lenses also block 100 percent of the sun’s harmful ultraviolet (UV) rays, and they are available in a variety of tints and materials. Though polarized lenses provide superior comfort and vision compared with regular sunglasses whenever reflective glare is an issue, perhaps the most dramatic advantage occurs on the water. Polarized lenses can significantly improve your enjoyment of fishing, for example. By eliminating glare caused by sunlight reflecting off the surface of the ocean, lake or stream, polarized sunglasses enable you to see deep into the water. This is a huge advantage when it comes time to land that prize fish. Polarized lenses also are great for relaxing on the beach and for locating shells, colorful pebbles (or the occasional sharp rock or piece of glass) in shallow water near the shore. How Can You Tell if Your Sunglasses Are Polarized? 2. Remove your sunglasses with both hands (one on each temple of the frame) and hold them several inches from your eyes. From this distance, look through the lenses at the reflective surface. 3. Now rotate the frame so the right lens is directly above the left, and then rotate it back so the two lenses are side-by-side again. Do this several times. If the lenses are polarized, you’ll see a very noticeable drop in the intensity of the reflected light when the lenses are side-by-side (in the normal orientation for wearing), and a significant increase in the brightness of reflections when the frame is rotated 90 degrees (right lens directly above the left). If the lenses are not polarized, you won’t see any significant change in the brightness of reflections when rotating the frame. Are There Any Disadvantages of Polarized Lenses? Polarized lenses usually provide better vision and comfort in bright sunlight than regular sunglasses. But there are some situations where they may be less than optimal. For example, because polarized lenses reduce or eliminate glare from highly reflective flat surfaces, they can make icy patches on ski hills less visible. In these conditions, you may instead want to wear regular sunglasses to avoid a nasty fall. Just make sure that all sunglasses you wear when skiing block 100 percent of the sun’s harmful UV rays, which are more intense at high altitudes. Also, polarized lenses can reduce the visibility of images produced by liquid crystal displays (LCDs) found on the instrument panel of some cars, boats and planes, and on many ATM machines. Article C2013, Access Media Group LLC. Source: Polarized Lenses and How They Work by AllAboutVision.com. Eyelid twitches are uncontrolled movements of an eyelid that are caused by involuntary contractions of muscles around the eyes. The more technical term for an eyelid twitch is blepharospasm (“blepharo-” is a Greek word root meaning “eyelid”). Many eye doctors use these terms interchangeably to describe a twitching eyelid, but some prefer to use the term “eyelid twitch” when the spasm is quite small and causes relatively minor, barely noticeable movement of the eyelid, and “blepharospasm” when the twitching is more severe, causing a partial or complete closure of the eyelids with each spasm. Most eyelid twitches come and go unpredictably for a few days and then disappear completely (as mysteriously as they started). But sometimes a twitching eyelid can persist intermittently for weeks or even months. Because movement of the eyelid usually affects the stability of the eye, even very minor eyelid twitches can be very annoying to the person affected and cause “jittery” vision — even if the twitch is barely noticeable to others. Also, because vision can be affected, eyelid twitches sometimes are called “eye twitches;” but the problem originates in the eyelid and muscles around the eye, not the eyeball itself. Almost all eyelid twitches are painless and are not a serious problem or an indication of an underlying condition or disease. However, in rare cases, a twitching eyelid may be an early sign of a chronic neuromuscular or movement disorder (such as Tourette’s syndrome or Parkinson’s disease), especially if facial spasms or other body movement problems develop. Also, eyelid twitching can be a side effect of certain medications, particularly drugs used to treat epilepsy and psychosis. How Can I Get an Eyelid Twitch To Stop? Sometimes, applying a warm or cold compress to the affected eyelid can temporarily or permanently stop the twitching. 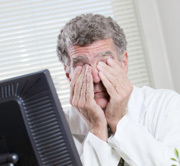 If you suspect eye strain may be causing or contributing to your eyelid twitching and you haven’t had an eye exam in more than a year, schedule an exam to see if you need vision correction or a change to your current eyeglasses or contact lens prescription. Eye RubbingAlso, if you spend several hours a day working at a computer, sometimes specially prescribed computer glasses can relieve eye strain better than general purpose eyewear. Ask your eye doctor about this at your exam. 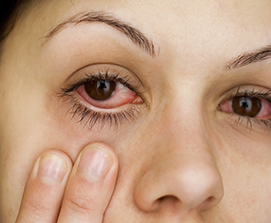 Allergies cause eye irritation, watery eyes, itching and swollen eyelids. Avoid rubbing your eyes if you are suffering from allergies, as this releases a substance called histamine into your tear film. 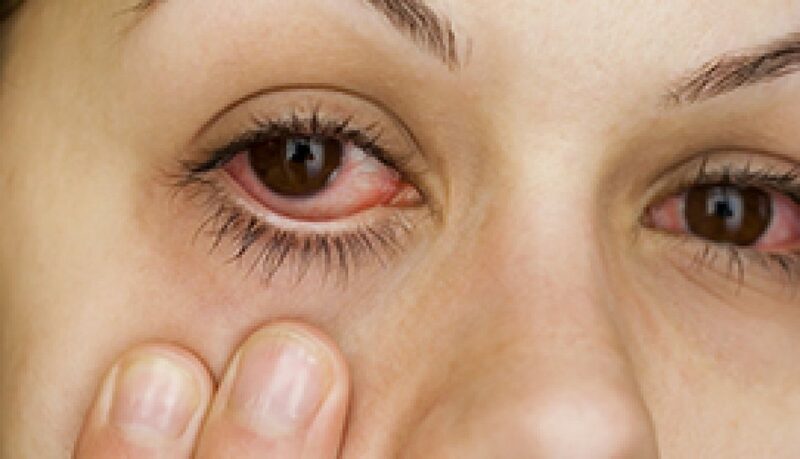 Some researchers believe histamine may contribute to further eye irritation that can cause eyelid twitching. To offset this problem, some eye doctors have recommended antihistamine eye drops or tablets to help resolve eyelid twitching in patients prone to allergies. But antihistamines also can cause dry eyes. It’s best to work with your eye doctor to make sure you’re doing the right thing for your eyes. Also, some people believe nutritional imbalances, such as a lack of magnesium, might cause eyelid twitching and other muscular spasms. Though there may be insufficient research to verify such claims, it’s always a good idea to look at your eating habits and make sure you are maintaining a healthful diet and staying well-hydrated by drinking plenty of water throughout the day. If you are bothered by an annoying eyelid twitch — especially if the twitching is frequent and persists for more than a week or it worsens with time — see your eye doctor. If your eyelids close completely during the twitching or twitching occurs in other parts of your face as well, see your eye doctor immediately. Also seek professional eye care if, in addition to a twitching eyelid, your eye is red and producing a mucous discharge. This could indicate a serious eye infection that requires immediate treatment. Article © 2012, Access Media Group LLC. Source: Eye Twitching by AllAboutVision.com. Our visual field (also called field of vision or field of view) is the area of space that we can see at one time, and includes both central vision and peripheral vision. Reading an eye chart during an eye exam tests the clarity of our central vision — the part of our visual field we use to recognize faces and read. But measuring visual acuity with an eye chart reveals little or nothing about our peripheral vision, which is essential for safe driving, seeing traffic when crossing a street, performing well in sports, and avoiding obstacles and falls. Also, vision problems from glaucoma and other conditions can start in our peripheral visual field before central vision is affected. Early detection of peripheral vision problems — particularly those caused by glaucoma — can help your eye doctor initiate treatment that can prevent central vision loss. During a comprehensive eye exam, your eye doctor will perform one or more visual field tests to evaluate your peripheral vision. The term used to describe the measurement of your visual field is perimetry. Some visual field tests are simple screening tests; others are much more detailed and involve the use of sophisticated perimetry equipment. Since the visual field of each eye overlaps, visual field testing typically is performed on one eye at a time. This is a very simple screening test where the extent of your peripheral visual field is compared with that of your eye doctor. Sitting directly in front of you at a distance of approximately arm’s length, your doctor will have you close one eye and look directly into his or her open eye. Your doctor will then hold a small object (or hold up one or more fingers) at arm’s length far off to the side so it is out of sight, and then gradually move the object inward. You tell the doctor the moment you can see the object, which should essentially be the same time he or she sees it if you both have normal peripheral vision. If your peripheral visual field appears limited during a confrontation screening test, your eye doctor typically will perform a more detailed visual field test or refer you to a specialist for advanced testing. In the most commonly performed automated perimetry tests, you sit in front of a computerized instrument that has a large, concave (bowl-shaped) testing surface. Your chin and forehead are comfortably positioned on a headrest facing the inside of the bowl. As with tangent screen testing, one eye is covered and you focus on a central fixation target for the duration of the test, which generally takes only a few minutes per eye. While you are focused on the fixation target, small lights will appear briefly (one at a time) in your peripheral field of view. As soon as you see a light appear, you use a small hand-held “clicker” button to acknowledge that you saw it. The examiner can adjust the number, position and brightness of the test lights, depending on the specific type of visual field test your eye doctor requests. From your responses, the automated perimetry test creates a detailed map of the size and sensitivity of your peripheral vision. An automated perimetry test often is recommended during or after your first comprehensive eye exam even if your eye doctor does not suspect you have a visual field problem. The results of this “baseline” visual field test can then be stored electronically and used for comparison purposes for future routine or specially ordered visual field tests to rule out glaucoma and other eye diseases. This visual field test is more detailed than confrontation screening, but not as detailed as automated perimetry (see below). In this test, one eye is covered and you stand or sit about three feet from a non-reflective black screen. During the testing, you keep your gaze fixed on a small bright target in the center of the screen. As you continue to focus on the fixation target, the examiner uses a hand-held wand to move a small target from the periphery of the screen inward, and you tell him or her the moment you notice it in your side vision. Each point at which you notice the target is noted and the resulting visual field “map” is compared to what is expected for a person with a normal visual field. Unlike the tests mentioned above, the Amsler grid test is a screening device used to evaluate the central visual field, not peripheral vision. The Amsler grid typically is a small hand-held card, and has a central fixation dot in the middle of a grid pattern of fine horizontal and vertical lines. If, while you are looking at the fixation dot with one eye covered, any of the boxes or lines of the grid look blurry, wavy or broken, this could indicate a central visual field defect. Amsler grid testing is performed primarily to rule out macular degeneration or other eye diseases that affect the macula, which is the most sensitive part of the retina that is responsible for central vision and color vision. If an Amsler grid screening test suggests a problem exists, your eye doctor might recommend a more sensitive automated perimetry test that evaluates the central visual field or other testing of the macula. What Causes Visual Field Defects? As already mentioned, glaucoma is a primary cause of peripheral vision loss. Left untreated, glaucoma can eventually lead to central vision loss as well and even blindness, so early detection with routine eye exams that include visual field testing are essential. If your eye doctor recommends special visual field testing, he or she will discuss with you the purpose of the testing and other details. Article © 2012, Access Media Group LLC. Source: Visual Field Testing by AllAboutVision.com.